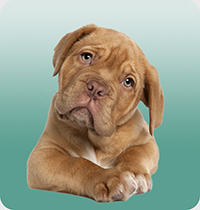 Are you getting a new puppy and hoping to learn in advance how to housebreak him? Have you had a dog for a while and you’re starting to wonder why he’s still not housebroken? Does your older dog still make "mistakes" in the house sometimes? You’ve come to the right place. We suggest you start by learning the basic house training rules found in our getting started section. In this section you will also find helpful articles about crate training, puppy proofing, sleeping through the night with your new puppy and more. Once you’ve learned about the basics, move on to one of the training programs outlined in the housebreaking and paper training sections. Here you will find more specific training instructions covering pottying outside, pottying inside on papers or in a litter box, schedules, doggy doors, problem solving and more. Start learning today…your dog (and your carpets) will love you for it! Our "Getting Started" section will teach you everything you need to know before beginning your housetraining program.